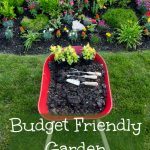 We have been growing a family garden for many years and have found there are 5 surprising benefits of growing a family garden that you may not have thought about. 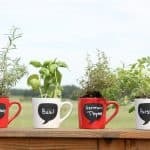 I’ll share why you need to grow a family garden this year too and the surprising ways it can be a game changer for your family. 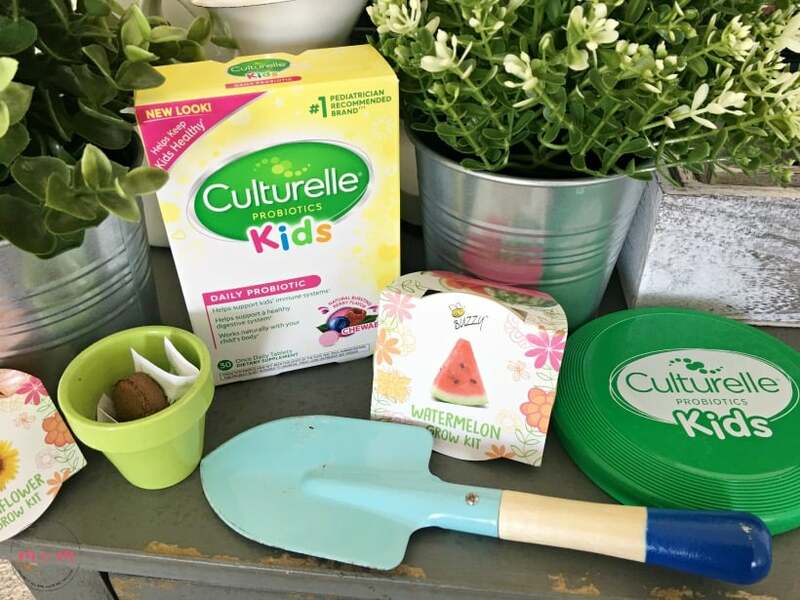 I’ve partnered with Culturelle® Kids on this post to also share about their amazing playground sweepstakes that your child’s school can benefit from. The beauty of a garden is a wonderful thing. It screams summer, it’s full of wonderful food for our families and it gives an instant feeling of success when you see that your vegetables are growing for the first time. Think about all the things that you can grow in a garden…squash, carrots, potatoes, strawberries…the options can be plentiful depending on where you live and the weather and soil conditions. How awesome of a feeling to be able to go right out your back door and pick fresh strawberries to eat on the spot? Or go out and grab some fresh herbs from your garden to use in your dinner that night for the family to eat? Having a garden can be a ton of work, too. It requires maintenance and care to be able to continue to grow and produce food. While it does take work, it is worth it. Getting outdoors is SO important for kids so we are really excited about the Project Playground Sweepstakes! Culturelle® Kids has partnered with KaBOOM!, the national non-profit dedicated to giving all kids safe places to play to build one lucky school in need a new playground with $100,000! Go vote for your favorite school to win their dream playground and you’ll be entered to win a $100 Target® gift card and free Culturelle® Kids Chewables! Return daily until March 16, 2018 to vote again and for every vote, you’ll gain an extra entry into the $100 Target gift card or Culturelle® Kids Chewables giveaway and the Project Playground Sweepstakes! Outdoor play and recess offer cognitive, health, emotional, social and physical benefits to a child’s development. Outdoor play has key immune-boosting effects, like the probiotics in Culturelle Kids®. 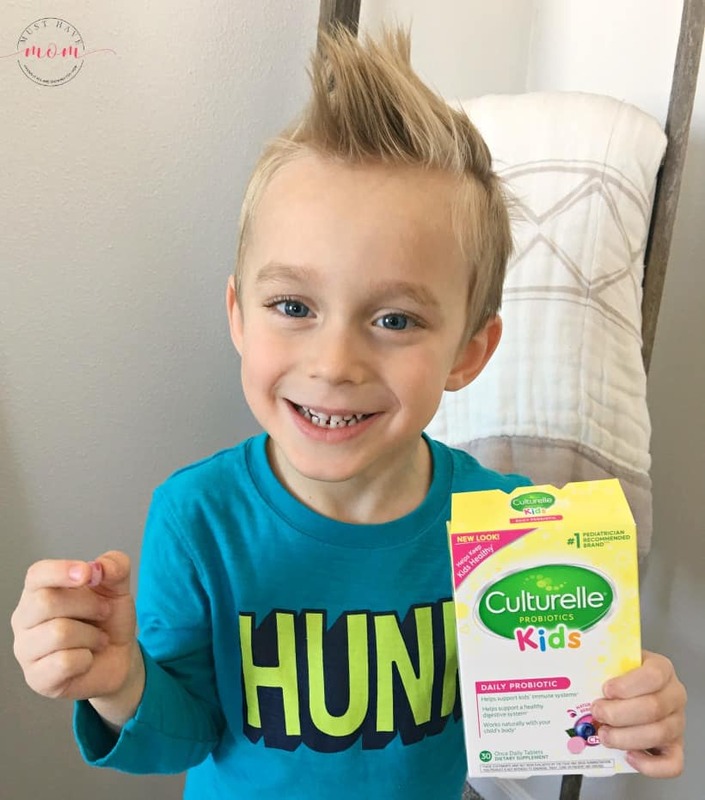 * We give our kids Culturelle Kids® probiotics every morning and have found them to be very beneficial. 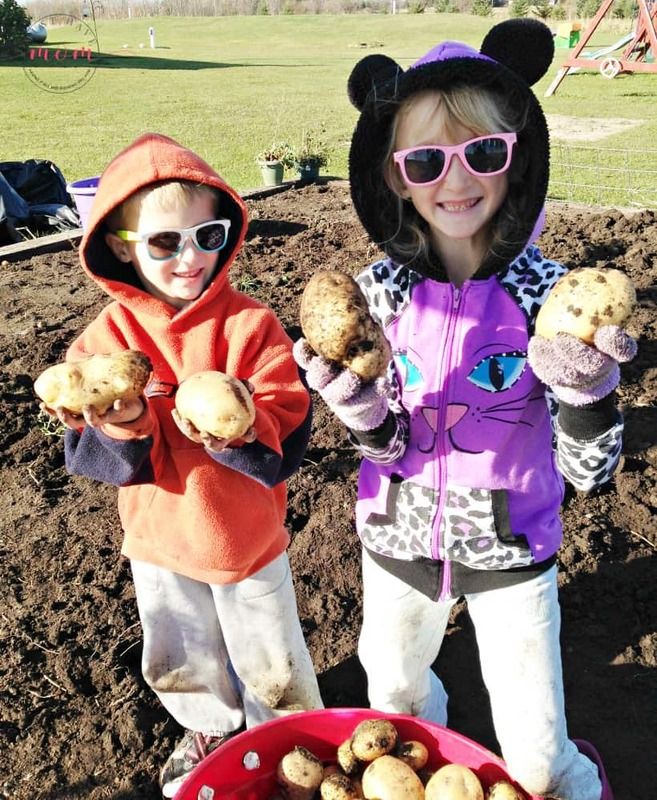 Growing a garden is a great way to spend family time together. If you haven’t considered growing a garden together as a family, here are a few suggestions of why you should consider it! Incorporates family time. How often are we searching for ways to spend time together as a family but seem to fall short on ideas? Sometimes the movies, bowling, going out to eat can all be overplayed and overdone, plus it can add up in terms of cost. Try planting a garden for you and your family to grow together. Think about it…it takes time to till up the soil, to plant the seeds, to water daily, to weed daily…and all of those items can be done together. Teachable moments! As parents, we want to teach our children about life, and the way of the world. At times, that can be hard to do! 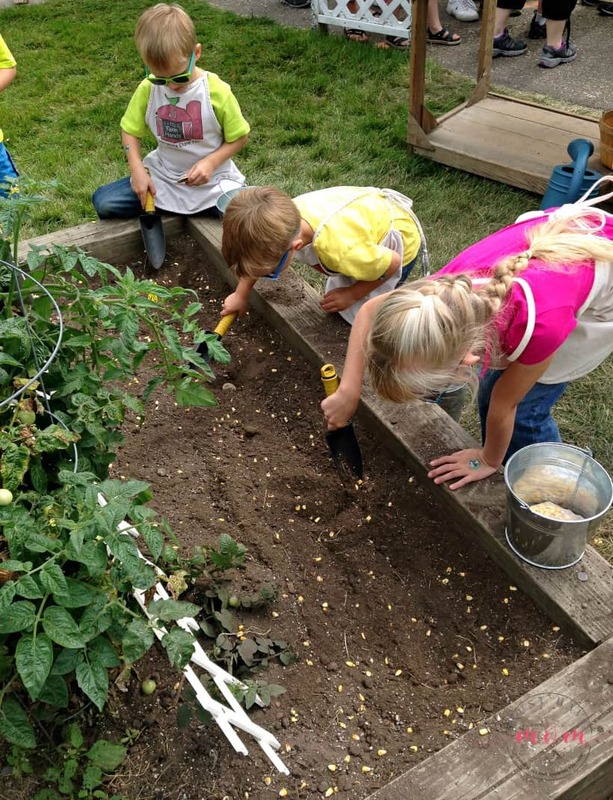 Why not use your gardening time for some fun teachable time? Topics can vary but could revolve around talking about how important it is to be able to grow your own food. Teach your family about canning food or freezing food, or talk about the randomness of how some vegetables are actually fruits…hello, cucumbers! Create together. As the food continues to grow and becomes ready to pick, have fun each day going out to the garden as a family and deciding what you will use to make dinner with that night. If you have an abundance of green beans, have you and your family members think tank on recipes and ways to eat green beans that night. Take it a step further and let each person in your family create a meal on their own with the food that is in the garden. It’s fun and allows for that creativity to flow as well. Healthy eating. Eating healthy together as a family is key. 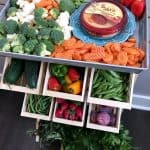 What better way to ensure that you and your family members are getting those vitamins and nutrients than by planting that food in your garden. It is freeing to know that you can eat that fresh food just by walking out your back door and grabbing some. Also, think about how much you’ll save at the grocery store by eliminating the need to buy fresh fruits and vegetables. A common trend among many people is that each and every time they visit the store, they leave with more items than they intended on. With shopping in your own backyard, you can eliminate that worry. Teamwork. Growing a garden is only possible when all of the necessary tasks and chores are done so that the garden has what it needs to grow and survive. Give each person in your family a task to help the garden to grow. What a great opportunity to help understand the importance of doing what you say you are going to do and then incorporating that and actually doing it. One can’t pick the food that is ready to grow if the person before hadn’t been properly watering it to make certain that it was actually going to grow. Growing a family garden can be such a fun and rewarding thing to do together. We have found it to be a game-changer for our family. It gives us more time together and LOTS of teachable moments. Give it a try this upcoming year. You may be surprised by how much fun everyone has together by being involved in its growth. Best part? You get to spend time together and get to have some yummy fresh food as well! 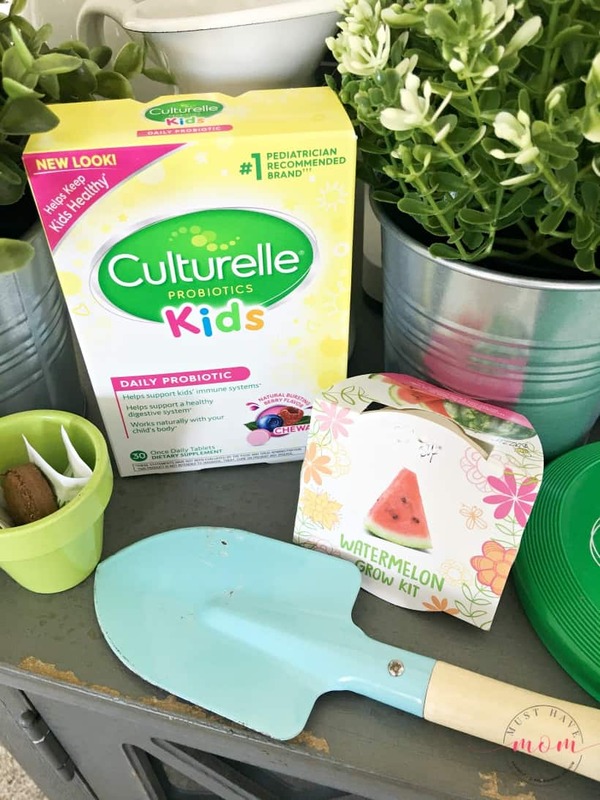 *This is a sponsored post written by me on behalf of Culturelle® Kids. 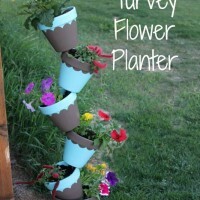 DIY Topsy Turvey Flower Planter With Step by Step Tutorial! « 10 Zero Points Weight Watchers Freestyle Recipes! Appetizers, Meals & Desserts! Thi sounds amazing getting the kids involved, outside and fruit and vegetables is a plus. I have my backyard to work in so I might try it this spring. I really need to get my children into a habit of taking probiotics. My son is not the best eater these days and needs a more balanced approach. And I have found that these probiotics taste good so even my picky kiddo doesn’t argue about eating them! I would love to do this with my kiddo! Where we live it is much harder to grow stuff, but if I can I will do this! I love all the benefits that come from this! This is adorable! We live in a tiny NYC apartment, but painted flower pots and grow herbs almost every year on our window sill and make usre to get the kids involved. Plus it makes cooking way more delicious! Oh how disappointing! Sounds like you needed a fence!